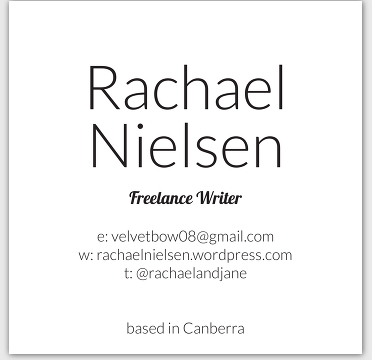 Small achievement of the day: I have ordered my freelance business cards from Moo. Getting organised can feel good! Loosing some faith in my direction, has been good for me. It has forced me to think about why I write, the effect I want to have on the world and what jobs would satisfy me. I’ve had to take on more responsibility for my life, as well as consider my options more broadly and deeply. Which caused me to be lead back to two books in my burgeoning bookshelf. 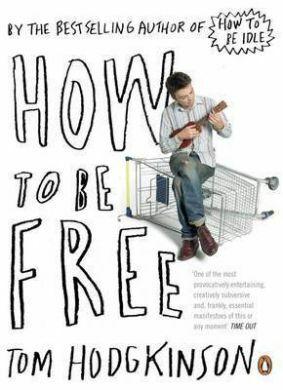 The first was How to be Free. A passage in it radically changed my feelings about this long, unemployed process. I had been feeling that typical guilt of not having a job and being “productive” (in that puritanical sense of doing tangible, “honest” work in a barn or building somewhere). I know what Capitalism is and how it operates, so I was doing my best to be grateful for the opportunity I have to not work and devote my hours to considering grand self involved issues. But it wasn’t until I read the following passage that I felt free from the weight of (false) guilt. “And how do you find your vocation, your gift? The answer is simply to do nothing for as long as you possibly can. In the same way that wise gardeners advise that the first step when taking over a new garden is to do nothing for a year, in order to see what grows there and only then to design your own unique, useful and beautiful garden, so I would advise taking a few months off, or even a year, if you can manage it. Most of the time we are too busy to step back and find out what we would like to do. Create some time for yourself and things will gradually become clear. Above all, stop trying. Career is a try-hard notion. The free of spirit have stopped and instead let things happen.”(p.49). I’ve taken a more active approach to working out what jobs might be right for me, but I am aware as Tom says, that I need to let it just happen. I am adamant about pursing volunteer and internship opportunities but then allowing my passion for each to dictate my organic direction. But this is no passive process. The second book I found helpful was, Do What You Are by Paul D. Tieger and Barbara Barron-Teiger. I had a growing list of possible jobs that I felt could give me a sustainable income but also be greatly satisfying. In my personality section (INFP) I read a list of job/career options. I found that all the possibilities I had come up with were couched within that list. That doesn’t exactly narrow my options down, but it does confirm that I know myself. Which is a comfort to know when on this often confusing path. 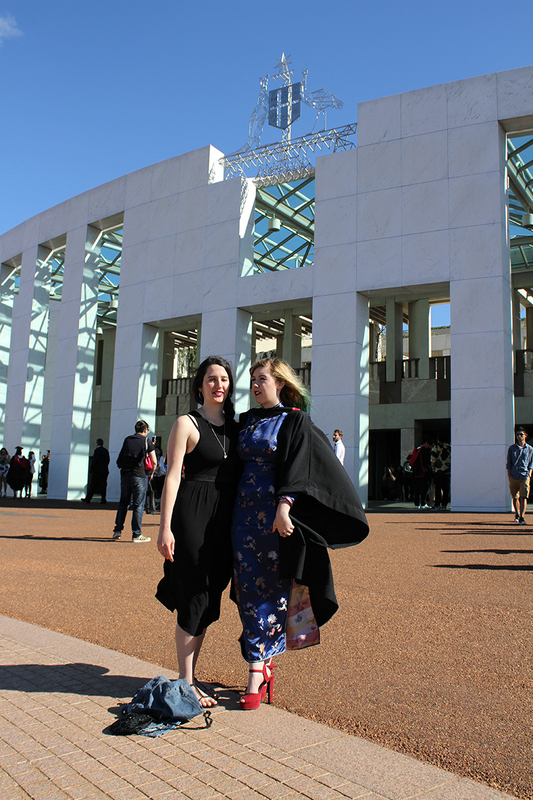 Despite some hard feelings about my future and the dry ceremony, I was glad I attended my graduation. The police presence layered with machine guns and the possibility of people falling into the ornamental pools out the front of parliament house, added some desperate delight to the day. What do you do with a writing degree? It might be better to not get career advise a few days before graduating. It wasn’t exactly doom to hear that my options are to re-train, learn to do admin or do honors. But not exactly uplifting either. I felt, that afternoon, a bit ripped off and despondent. That feeling continued into my graduation day. I have a few options though: the first is to get involved with the industry that surrounds writing; publishing. The second is teaching. As I refuse to even think of teaching anyone under 18 years of age, I would have to enter at least four years (full time) of further study (getting a PhD and all). It’s not a bad option, I could see myself relishing teaching gender and literary studies, but its daunting to think of undertaking more study. I could also totally re-train and go into an artistic pursuit that I have a preexisting interest and talent in- interior design. I don’t think I will be going horribly wrong if I go in any of the directions. But that doesn’t mean the path is obvious to me. I could also see myself being fulfilled if I got involved in a feminist/equality driven organisation (that promotes some area of women’s protection/rights/issues). I wish I had pursued the internships I was considering months back. I would surely have more of an idea of my direction, if I had. I just have to make sure I do it now. None of these paths would exclude me from a life of writing or pursuing freelance writing, which is still my plan. But would give me a steady income from my supplementarity passions. This is a bemusing process and the things I am discovering are not always inspiring, but though I was somewhat upset to hear what I did in the careers advisory office, it did give me a tangible direction. I am not the only one craving this. I overheard other graduates after the ceremony asking each other how they were going finding a job. They were having no luck, and some of them were chipper about this, and others more grim. “What do you do with a writing degree? Go into publishing.” I heard a graduate answer for herself in the foyer.